With over 300 days of sunshine, average winter temperatures hovering in the 70s and plenty of unique events, Winter is the ideal time visit Greater Palm Springs! The mild days provide the perfect opportunity to explore all the unique events the oasis has to offer. Wildlights at The Living Desert is celebrating its 26th year of holiday magic. Visitors are welcomed into a winter wonderland complete with millions of twinkling lights, luminescent animals and the tunnel of lights. Chats with animal keepers, camel rides and nightly entertainment round out the offerings for guests. The highlight of any visit is the G-scale model train that runs over 3,300 feet of track. Pro Tip: To experience all The Living Desert has to offer, plan on arriving mid-afternoon to see the animals, feed a giraffe and ride the endangered species carousel and stay for the lights! Wildlights runs select nights until December 24th. 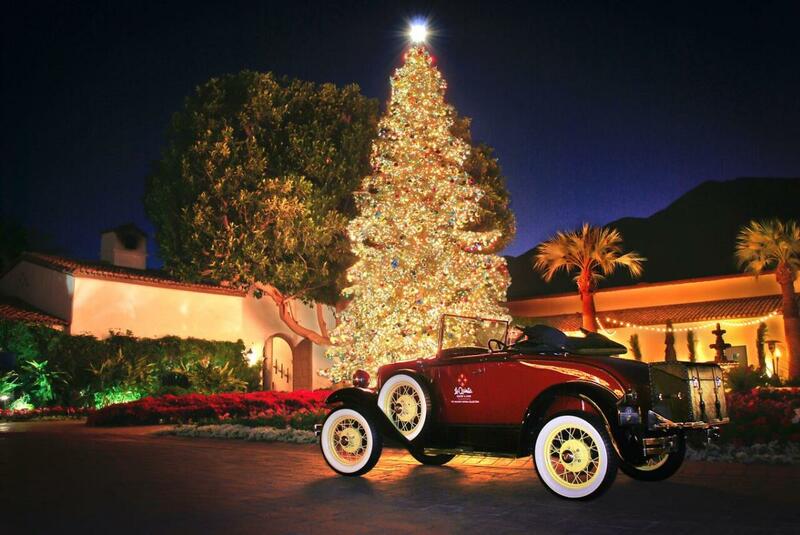 More holiday magic awaits at the La Quinta Resort and Spa during the month of December. The La Quinta Resort was a favorite writing spot for legendary producer and writer Frank Capra and each Holiday season the grounds become a bit of Bedford Falls in the desert. Guests can enjoy roasting chestnuts, Holiday shopping at the resort shops and arts and crafts for the family. Kids and parents will have plenty of fun at the weekly Breakfast with Santa Saturdays in December with a buffet offering, Bloody Marys and mimosa bar for parents and a photographer to capture the magic. Saturday evenings enjoy a Holiday movie on the lawn with complimentary popcorn and hot cocoa for the kids and a no-host bar for mom and dad. Polo season is always a favorite of locals and visitors alike. Grab your friends for an afternoon of fast-paced polo and great fun at either Empire Polo or Eldorado Polo each Sunday. Whether you enjoy a VIP experience on the sidelines with champagne and lunch menu available or would rather grab a group of friends for a casual Sunday tailgate there is a perfect option for everyone. The highlight of any Sunday polo session is the stomping of the divots between matches. Pro Tip: If you are planning to tailgate arrive early as prime spots fill up fast! Don’t forget to pack a picnic, grab a bottle of wine and some blankets to truly enjoy your afternoon. This January the Annual Palm Springs International Film Fest welcomes celebrities, filmmakers and movie enthusiasts to nearly two weeks of screenings, discussions, and parties. Each year the Film Fest highlight is the Awards Gala, a classic Hollywood style event with celebrities, style, and an elegant dinner. 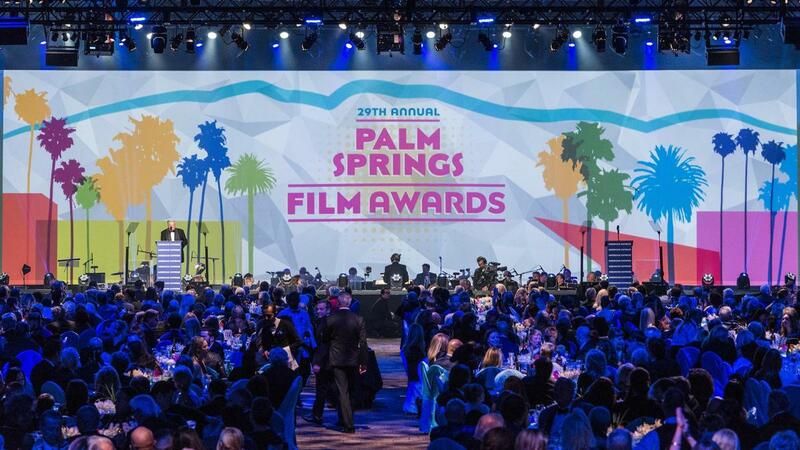 The Awards Gala is by far the biggest fundraiser for the Palm Springs Film Festival raising over $1 million dollars annually. This year’s Film Fest honorees include Glenn Close, Melissa McCarthy and Bradley Cooper receiving this year’s Director of the Year award. The Film Fest is one of the largest in North America and welcomes over 100,000 attendees each year to screen more than 180 films. This February Modernist will flock to the Oasis for Modernism Week, a 10-day event highlighting the Mid Century Modern architecture and design of the desert. Attendees will enjoy walking tours of historically significant neighborhoods, double-decker bus tours and even an opportunity to step inside unique homes designed by legendary modernists. This year will include an opportunity to see homes once occupied by the Rat Pack, hotels and inns that were built as far back as the 1930s and sip cocktails at beautifully restored show homes at any one of the dozens of evening soirees. If you are looking for the ultimate Modernism Week experience don’t miss the Christopher Kennedy Showhouse Gala where dozens of designers come together to raise funds in support of Modernism Week and raising funds for future preservation projects. If you&apos;re looking for more fun events happening in the oasis, check out our full events calendar in Greater Palm Springs. Nicole Bowen founded her lifestyle blog, The Darling Niki in 2013, after more than a decade in hospitality, as a way to share her love of all things fashion, food and fun. She relocated to Greater Palm Springs in 2014 and has been using the desert lifestyle as a muse ever since. In her spare time, Nicole enjoys trying new restaurants, vintage shopping and sipping rosé. Nicole is an alumna of the University of Redlands where she majored in Sociology and Anthropology.